Contact Us Today with the Details of your Project for a Next Day Quote! We offer FULL SERVICE solutions from A to Z, and pride ourselves on producing top quality parts with on-time delivery. Metal Fabrication is in our DNA, we can build or rebuild parts and projects that are ready for your customers. We’re able to deliver your parts on-time and world-wide without any hassles and red tape. When those parts are too big for double-disc grinding we have the solution. We one of the few companies offering this service. 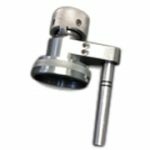 With our CNC Machines we can perform repetitive precision machining operations for those difficult to make parts. Tired of Trying to Source Hard to Get Parts? We implemented Management driven continual improvements of our Quality management system to ensure we meet and exceed our customers needs and satisfaction. 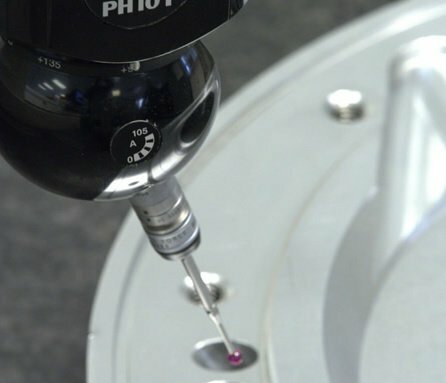 Our Mitutoyo CMM is a device used in our manufacturing and assembly processes to test a part or assembly against the design intent. Making sure you get exactly what you ordered. Proudly Canadian Owned & Operated for Over 35 Years. Strategically Located in Southern Ontario along the 401 Corridor known as the manufacturing Hub for Canada. This allows us to Ship Parts World Wide using Expedited Service when necessary. Copyright © 2018 Woodstock Precision Machining Inc.